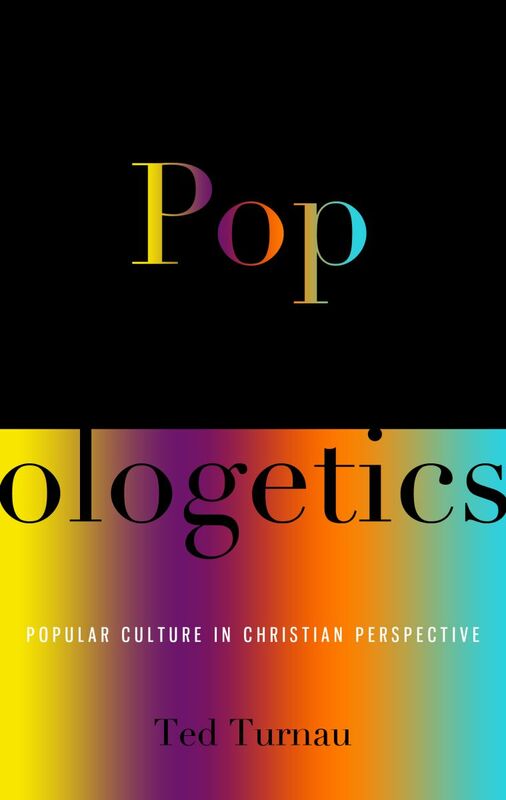 Popologetics: Popular Culture in Christian Perspective, Ted Turnau, Phillipsburg: P & R Publishing, 2012. Paperback, 346 pages, $20.89. It was 1992 and there was a lot of time to spend on the bus between home and university. From time to time, one of my good friends from high school would be on the same bus and we would get to talking about all kinds of different things. On one occasion, we got into a rather intense debate about whether Christians should watch movies. There is this phenomenon known as the “cage phase.” People, mostly on the younger side, discover the Reformed faith and they become intolerable – they should be put in a cage, hence “cage phase.” I had been a rather worldly young man in my teen years. Having finally become serious about my faith, I was going through my own cage phase. It seemed to me that a true Reformed believer must abandon popular culture completely. Hence, no movies, no rock music (I threw out hundreds of tapes), no TV, no worldly books, absolutely nothing that smacks of the world. It must be all or nothing. My friend on the bus disagreed, although from what I remember his reasons were not particularly Christian or well thought out. It took a few years for this cage phase to wane. Along the way, I began to develop a more balanced and biblical view of popular culture. I can look back now and see how it happened step-by-step. I discovered the writings of Cornelius Van Til and Reformed apologetics. I read some essays by John Frame applying Van Til’s teachings to popular culture. I had to take a fine arts option in university and art and music were definitely out, since I’m neither artistic nor musical. That left film studies. In Film Studies 200, I learned that film is not merely entertainment, but also art in its own right. By the time I graduated from university, I could again appreciate various aspects of popular culture. I began writing cultural critiques for Reformed Perspective magazine, critiques of movies like Star Wars and musicians like Tom Cochrane, Bryan Adams, and Shania Twain. All of this is to say that the issues discussed in this book by Ted Turnau resonate with me. I’ve been thinking about them for over twenty years already. What should Christians do with popular culture? Do we thoughtlessly embrace it as the background for our daily lives? Do we reject it altogether, since it comes from the world and the world is given over to sin? Or is there another way, a better way? Ted Turnau is convinced that there is a better and more thoughtful way for Christians to engage popular culture, a way which will serve our neighbours best and also give more glory to God. Ted Turnau is an American teaching cultural studies in the Czech Republic. He has a Ph.D. in apologetics from Westminster Theological Seminary in Philadelphia. That brings me to the first important characteristic of this book: it is an application of Reformed apologetics to the field of popular culture. Several times throughout the author indicates his indebtedness to Reformed apologists such as Cornelius Van Til and Greg Bahnsen. Just like Jason Lisle applied Reformed apologetics to the question of origins in his book, The Ultimate Proof of Creation, Ted Turnau seeks to apply it to how we think about movies, music, TV, and other forms of pop culture. As I mentioned, others (like John Frame) have done this before, but only in a limited way. To my knowledge, this is the only book-length attempt. Turnau lays out the book’s purpose in the Introduction: “…this book is for those who want to be able to give an intelligent, warmhearted, biblical answer back to the worldviews presented in popular culture” (xvii). Does Turnau succeed in what he sets out to do? Discovering the writings of Cornelius Van Til was a turning point in my spiritual and theological development. However, as I mentioned earlier, Van Til was not a popularizer. Moreover, his writings on apologetics didn’t include a lot of biblical exegesis and explicit scriptural support. There were a number of students of Van Til who were better communicators. John Frame is certainly one of those. However, the best of Van Til’s students was without question Greg Bahnsen. 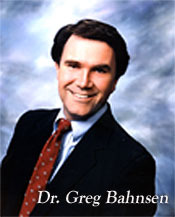 Dr. Greg Bahnsen was a graduate of Westminster Theological Seminary in Philadelphia. I believe he was the first (the only?) student to do his M.Div. and M.Th. concurrently at that institution. He later went on to do doctoral studies at the University of Southern California. He was an ordained minister in the Orthodox Presbyterian Church. Bahnsen also founded the Southern California Center for Christian Studies (SCCCS, now defunct). He was the author of several books, numerous articles, and a frequent lecturer, speaker, and debater. He died suddenly in 1995 from complications following open heart surgery. Why is Greg Bahnsen important? He was a gifted, charismatic communicator. He was the rare man with great intellect, quick on his feet, and passionate for truth. But most of all, Greg Bahnsen held the Word of God in the highest esteem and sought to consistently apply it to every area of life, including apologetics. Where do I start? Always Ready: Directions for Defending the Faith is Bahnsen’s most accessible book on apologetics. It’s written at a level that I think most high school graduates should be able to manage it. One of the best features of this book is how it displays clearly the biblical basis of Reformed (presuppositional) apologetics. The next step up would be Bahnsen’s Presuppositional Apologetics: Stated and Defended. You can find my review of that one here. His magnum opus is without doubt Van Til’s Apologetic. VTA is a massive volume of anthologized writings of Van Til with commentary and footnotes from Greg Bahnsen. Everyone serious about apologetics needs to have this work. Finally, I should mention that a lot of Bahnsen’s articles are available for free on-line. You can find them here. What to look out for? Bahnsen was at his best when writing and lecturing about apologetics. Unfortunately, when it came to ethics he was a theonomist. That means he believed that the Mosaic civil laws were binding upon contemporary magistrates. I’m not going to give a comprehensive critique of theonomy here, I’m just telling you that this is where he stood. Related to that, he was also postmillennial in his eschatology. Notwithstanding those points, Greg Bahnsen was a minister in good standing in the OPC. I never actually got to meet Greg Bahnsen, though I wish I had. A few months before he died, we’d had a helpful e-mail conversation. He was very willing to help this university undergrad in far-off Alberta. Later I enrolled in the Master of Arts in apologetics program at SCCCS — unfortunately I didn’t finish it. Nevertheless, I count Bahnsen among my mentors and teachers when it comes to defending the faith. I remember the first time listening to his 1985 debate with Gordon Stein — I was blown away. That brought together everything I had learned from Van Til and him. To this day I still often use that debate when teaching apologetics. It’s a classic which you can find here. To this day, I don’t think there’s anybody who can rightfully be described as a successor of Greg Bahnsen. His shoes are BIG.